Today I noticed that my Blackberry server wasn’t running as it should be. For me it was quicker to restore the back-up then start troubleshooting, so I did a restore. After restoring the virtual machine I noticed there where still errors filling up the eventlog. 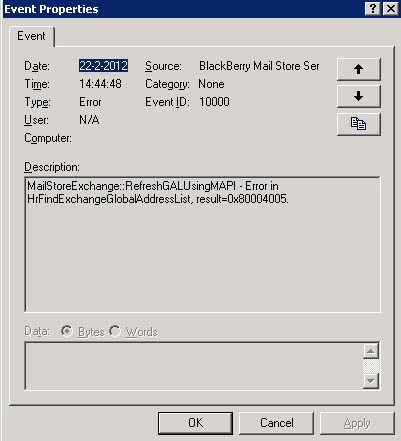 I found that one service from Microsoft Exchange, Microsoft Exchange Address Book wasn’t running. After starting the service everything was fine and no more errors.. I needed some SSL certs for my Exchange and other servers. I wanted to buy some certificates from an commercial supplier like godaddy.com or something like that. But this is how I’ve fixed the problem. Go to CAcert.org (https://www.cacert.org/index.php) and register/create an account. Create an certificate request on IIS or an server you wish to create an certificate and submit this on the site. Thanks for macmenco for the hint! 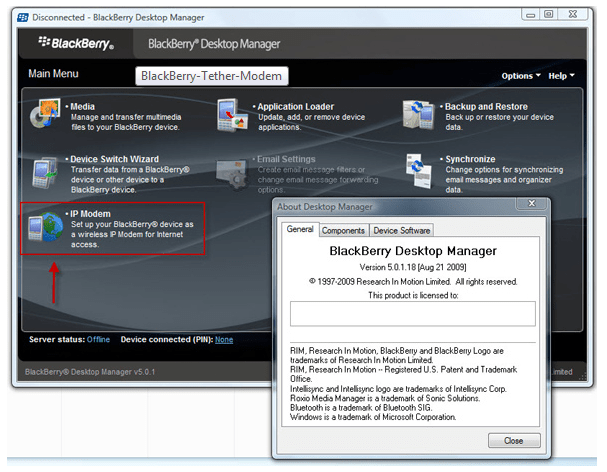 With the new Blackberry Bold 9700 there’s also a new update of the Desktop Manager software. Download it from www.blackberry.com.